Though I could gripe immediately with a bunch of the nominations given, I’m going to give the first part only of this over to the minor grips I have with the BAFTA nominations, announced this morning (and here in full via Empire Magazine). The leading nominees, each with eight, are Avatar, The Hurt Locker and An Education. The overrating of An Education, at the expense of better British films like In the Loop and Fish Tank, is a little irritating, but the acting is so strong in the film that it seems to have elevated everything around it, including the nominated script by Nick Hornby and the nominated directing by Lone Scherfig. Avatar’s eight is mostly taken up with technical nods, which is entirely fair, but its picture nod, over Inglourious Basterds and Up, is predictable but wrong. Obviously, for those who read or listen to anything I say or write, know that I wholly agree with all The Hurt Locker nods, with my only desire to see much more attention given to Anthony Mackie in the supporting categories. As with the Golden Globes, I can’t possibly pass this opportunity up to criticise the nomination of The Hangover for script, specifically given it is just a slightly adjusted take on Dude, Where’s My Car?. On personal taste, I probably wouldn’t have sought to reward the script for An Education, but kudos for adding District 9 which, despite a host of action movie tropes peppered throughout, is a much smarter film that the credit given would suggest. The acting sections are all pretty good. That said, I wouldn’t have given Alec Baldwin a nod for It’s Complicated due to Anthony Mackie’s great performance in The Hurt Locker, but Baldwin is good so not too much annoyance there. Also very good indeed to see Christian McKay nominated for his amazing performance in Me and Orson Welles. Also great nod for Anne-Marie Duff for supporting actress in Nowhere Boy. This seems like the only place where Mo’Nique just might not win for Precious, so Duff and the others could nick it. 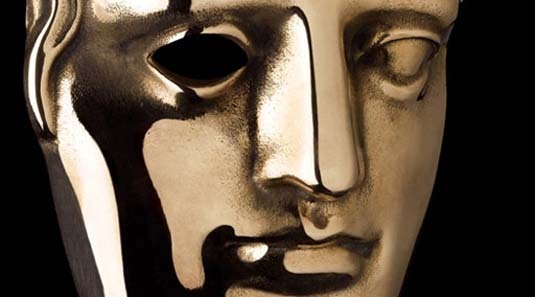 It’s a decent enough selection from BAFTA. They are slightly over-praising, as most have, An Education and, as most haven’t, Coco Before Chanel. The nomination of Audrey Tautou over the incredible debut by Katie Jarvis is jarring, but sometimes you have to give concession to BAFTA’s predeliction for costume drama, no matter the costume. But nothing but praise should be given to the nods for The Hurt Locker and District 9, though you might wish that some of the better British films, notably Moon and In the Loop, were given a little more attention outside of nods in those Brit-focused categories.